Mann Engineering – The Experts in Machining Aluminium Castings. With our extensive skill set developed over the last 40 years, one of the little known niche areas of expertise in Mann Engineering is the machining of aluminium castings. Over the years we have built up substantial relationships with our suppliers, both local and internationally in regards to the provision of specialised castings. The castings themselves can come in the form of billets, anything from 100mm Diameter upwards and also complex shapes up to 500mm cubed that can then be milled on our 4 and 5 axis Milling Machines. Key to reducing cost when manufacturing aluminium parts is the weight of the billet, as against the standard practice of buying a large solid block of aluminium for machining where a large proportion of the material goes to waste, thus making the part more expensive. Because of the knowledge we have acquired over time, we can help customers with component design to help reduce cost and improvement of the quality of the items to be produced. All tooling that we specify is maintained free of charge, by being covered on a agreed tool production life. 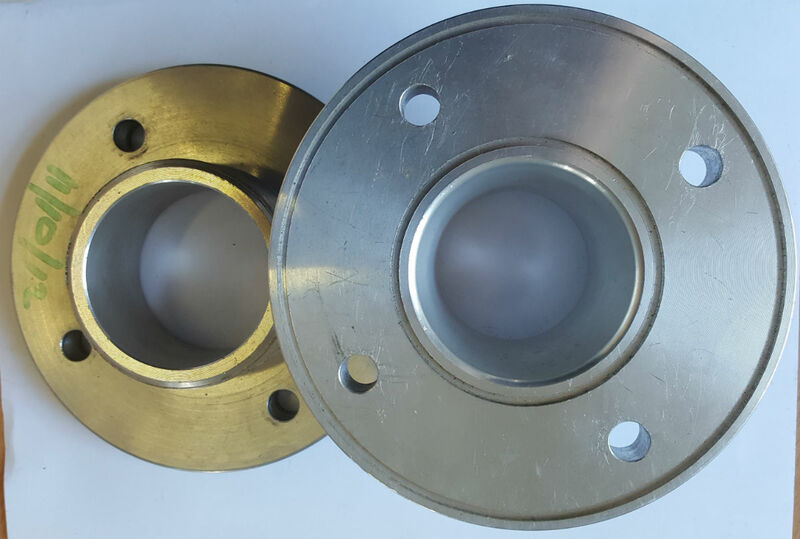 Dependant on our customer’s specifications and requirements, these castings can sometimes be made with specialist tooling called Permanent Mould tooling which includes an upfront tooling charge that can be amortised into the piece part cost. Such tooling can last 20-25 years. Alternatively we also have options to procure Sand Castings, where the tooling cost is greatly reduced, allowing for a payback over a shorter lifetime. This type of tooling can last between 4000 and 5000 units. Having this expertise locally is a huge fillip for Mann Engineering as it allows us to develop extensive cost saving projects with our customers. As well as this local expertise, we also have access to further local expertise in relation to finishing of aluminium, whether that is Anodising, Hard Anodising, (in a variety of colours) Alochrome, Passivation, Black Oxide, Non-Hexavalent Chromate, Powder Coating or two pack wet paint finish.